The basal leaves are neat and pleasing. Please a pic when the flowers are fully open, Andrew. This photo is of species Pulsatilla albana. 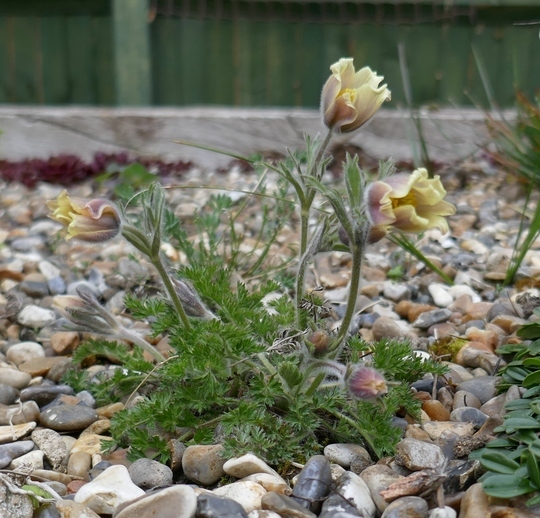 See who else has plants in genus Pulsatilla.